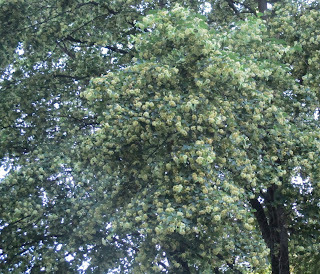 American basswood, Tilia americana, a native tree, and the European lime tree Tilia cordata, are popular flowering landscape trees. They are just finishing blooming now in Minnesota. 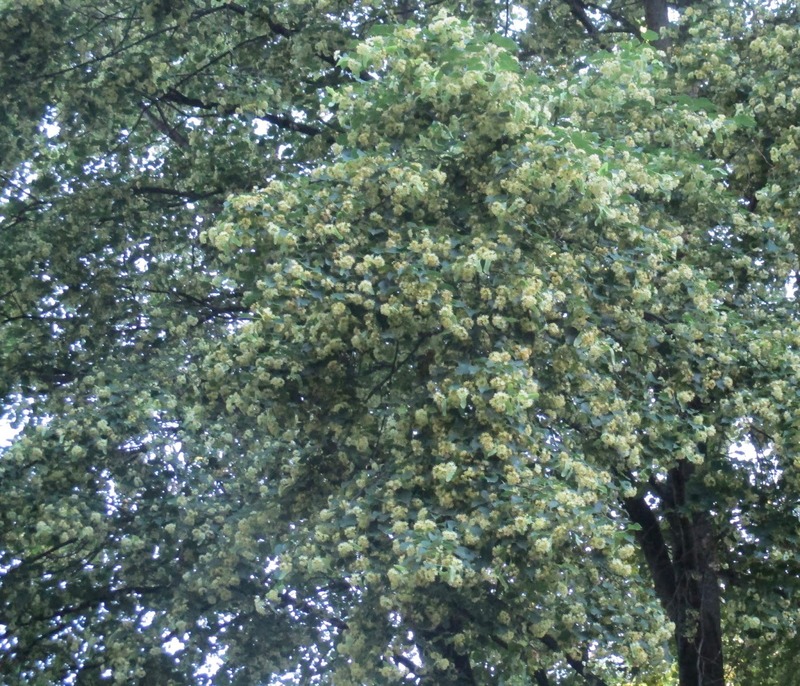 The fragrant flowers of Tilia provide nectar for bumble bees and sweat bees, and the foliage serves as a food source for over 150 species of caterpillars. Flowers are especially heavy this year on landscape trees, making some trees appear yellow from a distance. This masting or flowering with heavy seed production may have been induced by recent environmental conditions. Enjoy the fragrance and appreciate the food these trees provide for many of our pollinating insects!